We were told cut down foods prepared with rice and wheat flour, such items like rice, pasta and bread, indi-appams, hoppers pittus and so many other traditional starchy delicacies. Carbohydrates as such have copped some bad publicity in recent years and most health conscious people reduced their intake. Then, most people wanting to reduce their weights moved to Robert Atkins weight losing diet cutting daily quantity of carbohydrates to 40grams. This latter diet went out of fashion, following the sudden death of the author. We need carbs for our daily energy and that energy is pumped up by having a decent carbohydrate breakfast, such as eating cereals, and Sri Lankans mostly the affluent class enjoy hoppers, string-hoppers prepared by their servants, a very privileged situation, whilst the poorer people eat a few slices of bread with a curry, like made out of lentils. Even, bread has gone up in price from rupees 50 to 56 per loaf, the ordinary ‘kadei paan’, and has become a big problem to the battlers, having large families. Today, carbs are described as good carbs, and not so good carbs. The good carbs have low glycemic index (GI) with high fiber content. Apart from fiber which isn’t digested, most carbs are broken down in our bodies to glucose, an essential fuel. The important factor as far as the carbs are concerned is the rate of breakdown and the effect this has on sugar levels in our blood. The message today is eat low glycemic foods, such as vegetables, nuts, pulses with less quantities of rice, bread, and other foodstuffs made with rice and wheat flour. Noodles and pasta having a GI of below 60 are recommended starches. Doongara and basmati rice, being long grain, having high levels of amylose takes a longer time to digest and absorb, also have a GI, less than 60. The high GI foods when mixed with low GI foods strike a fairly healthy balance. For instance, a few table spoonful of rice served on the side of the plate, with plenty of vegetables, pulses like lentils, leafy preparations like the mallums strike a good low GI. In such a situation the rice after being converted to glucose in the bowels seem to get absorbed slowly being mixed with other ingredient curries. Spiking of glucose in the blood is minimized, appropriate for diabetes. Similarly supplementing with protein and oily (fatty) foods too, reduces the absorption rate. 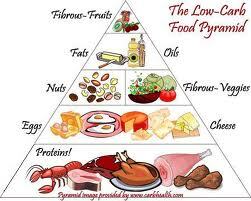 Chicken, fish, eggs are suitable accomplishments to reduce the glycemic load. Fried rice, biryani is other ways to cook rice for reduced absorption from the bowels, though not recommended frequently. Eating eggs daily with rice and curry also reduce the rate of assimilation and delays hunger pains, suitable when dieting. Further, eating eggs do not have any influence on blood cholesterol levels, and not necessary to take added supplementary vitamins. Germ – this is the smallest part of the grain. Wholegrain contain all three layers of the grain. Unpolished red rice may have a similar GI like the polished white rice, but the added nutrients including fiber assists in delayed absorption and less spiking of glucose levels. Same principle applies to other whole meal foods like breads. For breakfast cereals, the less processed the better with porridge and mueslis the winners. The US Food & Drug Administration permits food manufacturers to make a health claim on whole grain food products, as possibly reducing the risk of coronary heart disease and some cancers as long as the product contains 51% or more wholegrain ingredients by weight per reference amount, with dietary fiber 2.3g per 50g or 1.7g per 35g and the food must be low in fat. Most ice-creams are low GI, but that doesn’t mean you should be pigging out on them to increase your glycemic load (GL). Cereals form a good healthy excellent source of carb, especially the whole meal cereals. They are low in saturated fat, but are a source of polyunsaturated fats, including omega 3 linolenic acid. It is cholesterol free and high in fiber. Cereals are an excellent source of proteins, vitamins, including folate. Most breakfast cereals are refined with added sugar. Such refining can cause 66% loss of fiber, 92% loss of selenium, and 62% of folate and up to 99.8% of phytochemicals from the grain. In most packetted cereals some fiber, vitamins and minerals have been added to compensate for the losses due to refining. Whole grain cereals have many antioxidants and phytochemicals, including phytoestrogens giving many health benefits. Lignans – a phytoestrogen that can lower the risk of coronary heart disease and may protect against hormonally-linked diseases such as breast and prostate cancer. They are mostly found in outer layers (such as wheat bran) and are high in flaxseed (linseed). Phytic acid – reduces the glycaemic index of food, which is important for people with diabetes, and helps protect against the development of cancer cells in the colon. It was previously thought to be a disadvantage because it binds iron and zinc and makes it unavailable for absorption. It is now known to act as an important antioxidant which protects the bowel wall from damaging chemical reactions involving iron. So after all healthy carbs with low GI mixed with not so healthy carbs with high GI is the way to go.